Used correctly, QR codes offer a cool way for marketers to grab audiences’ attention and target them with optimized advertising. Codes are free to generate, and fun for consumers to scan. At the very least, they can be fun if you follow the best practices for using QR codes in your marketing campaign. Invented in Japan, QR codes (abbreviated for the term “Quick Response Codes”) are like barcodes, except they can store much more data, including downloadable content. This is why they first gained popularity in the industrial world as high-speed tracking and scanning tools. Eventually, the widespread adoption of smartphones led to the QR code’s expansion into the marketing industry. Basic QR code scanners can now be downloaded as smartphone apps and used to scan any QR code that anyone publishes, from anywhere. When QR codes were first introduced as a marketing tool, many companies recognized the potential and went after it, but many didn’t understand why people choose to scan, or ignore, a QR code. Businesses often assumed people were so enamored by the QR code fad that just slapping one on marketing collateral was enough to encourage actual scans of the code. It wasn’t. 1) Offering too little value through QR codes. One of the main challenges when marketing with QR codes is giving people good reason to scan your code. Scanning a QR code takes time. You have to take your phone out, find your QR code scanner app, wait for the app to load, position your phone’s camera correctly over the QR code, scan the code, and wait for the linked content to load. It’s a long process just to view an advertisement, so marketers must drive action by offering something better than advertisements. Driving action is essential to using QR codes in marketing. 2) Linking to ineffective content or landing pages. Even if you persuade someone to scan your QR code, the complete conversion can still be thwarted by an ineffective landing page or low-quality download. You have to successfully engage the consumer post-scan, as well as pre-scan. When integrating QR codes into your marketing campaign remember, above all else, that QR code scanners are used on smartphones. 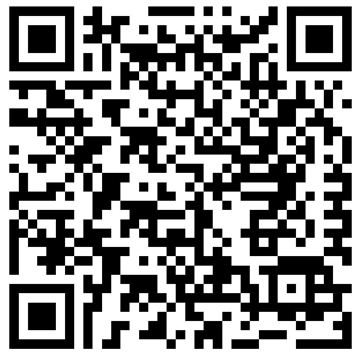 Whatever you link to with a QR code must be optimized for mobile devices. With time, marketers have come to better understand the purpose of QR codes in the eyes of consumers, so now, businesses can more effectively implement QR code marketing. One of the most important lessons we’ve learned is that QR codes are effective marketing tools when we offer significant value to QR code users. Typically, QR codes are thought to only be useful for print publications, but email is quickly becoming a popular way to implement QR codes because of the curiosity they pique in readers. People naturally love cracking codes, and that’s exactly the psychological aspect that QR codes tap into. Rather than asking your readers to try clicking a link in your next email newsletter, entice them to scan a QR code and see what happens. The location of your QR code is also important. Some types of marketing collateral are perfect for QR codes. Others aren’t so great. Consumers are becoming increasingly open to scanning QR codes, so now is the perfect time to start exploring the marketing potential for QR codes at your company. QR codes may not be the easiest marketing tool to use effectively, but they’re powerful with a little strategy to back them up!